The Apprentice Winners Where Are They Now? 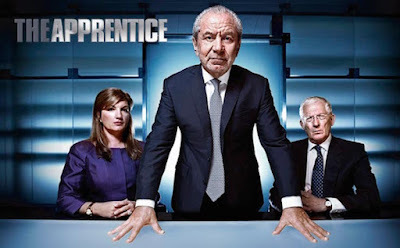 The Apprentice is a reality game show that puts a number of aspiring business men and women head to head in a series of challenges in order to win the grand prize of a position at Alan's company (series 1-6) and later (from series 7 onwards) a $250,000 investment and 50% stake in the winners proposed business venture. 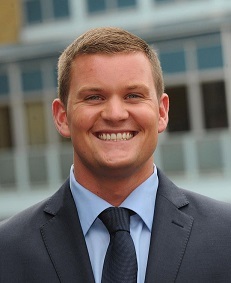 Tim Campbell, 26, was a transport manager for London Underground and the winner of The Apprentice UK series 1 due to his strong performance throughout the process. He became Project Director for Amstrad's Health and Beauty department, seeing his 12 month contract renewed but later left to set up his own company. He launched charity Bright Ideas Trust, that helps and supports entrepreneurs to start their own business. He was awarded an MBE in 2012 for supporting enterprise and launched marketing company Marketing Runner Ltd with Derin Cag. Michelle Dewberry, 26, was a Telecoms Consultant and the winner of The Apprentice UK series 2 due to her strong performance across the tasks showcasing a strong range of skills. She became responsible for Xenon Green, a green project to dispose of computers but left after nine months to launch her own consultancy firm and launched a number of online businesses. She released an autobiography in 2007. She is currently a Sky TV presenter on The Pledge, a news debate show, patron of a number of charities and frequent advocate for mental health charities. 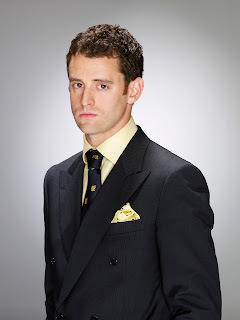 Simon Ambrose, 27, was an Internet Entrepreneur and the winner of The Apprentice UK series 3 due to his intellectual ability, knowledge of Lord Sugars businesses and his willingness to take business risks. He was hired at Lord Sugar’s property company Amsprop and left after 2 years after training as a surveyor to work on property development projects. He later became chairman of the London Contemporary Orchestra and manages a number of London bars and restaurants. Lee McQueen, 30, was a Recruitment Sales Manager and the winner of The Apprentice UK series 4 due to his improvement during the process, resilience and strong sales performance. He was hired as development director at Lord Sugar's Amscreen and worked for the firm for two and a half years before leaving to start a digital media company with Alan's son Simon. He later set up his own recruitment and training agency Raw Talent Academy. Yasmina Siadatan, 27, was a Restaurateur and the winner of The Apprentice series 5 due to her risk taking and good promotional skills despite her chocolate product being recognised as being poor quality. She was hired as a Business Development Manager at Amscreen Health Care and worked for Alan Sugar for three years, leaving after falling pregnant for a second time. She later worked alongside James Caan as Head of Operations at Hamilton Bradshaw before becoming Creative Director at Start Up Loans Company and later going freelance as a business consultant. She currently works as Head of Marketing for Distribution Technology. Stella English, 30, was Head of Business Management and the winner of The Apprentice series 6 due to her being a very strong all round candidate with excellent business skills and experience. She was given a position in his IT Department Viglen but branded the position a sham and was offered another position at Youview before resigning. She attempted to sue Alan for constructive dismissal but this was thrown out of court as was his counter claim for legal costs and these issues led to the reformatting of the show. She has revealed the show led to her marriage breakdown and she has struggled to find employment due to her reputation after losing her role at Citigroup due to the court case against her. She later went to work for HP and had a baby with snooker player Ali Carter. Tom Pellereau, 31, was an Inventor and winner of The Apprentice series 7 despite his business plan and model needing a lot of work due to the problems with runner up Helen's business plan. He partnered with Lord Sugar to create AvenTOM Ltd where he further developed his existing Stylfile range and released a range of toenail clipping products including the nipper clipper and further beauty products. He sold 36,000 limited edition stylfiles on QVC in 24 minutes! Ricky Martin, 26, was a Recruitment Manager and winner of The Apprentice series 8 due to his strong business plan and knowledge and experience in the field his business plan was in. 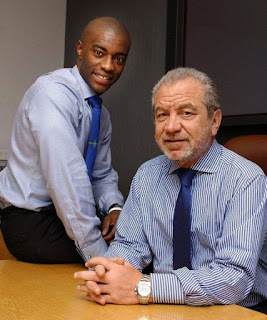 He partnered with Lord Sugar to create Hyper Recruitment Solutions, a recruitment company for the science and technology industry which now has over 30 staff, multiple offices and a multi-million pound revenue. Leah Totton, 24, was a Doctor and winner of The Apprentice series 9 due to her strong performance in the final and the large profit that could be made with her business plan. She partnered with Lord Sugar to create the Dr Leah Cosmetic Skin Clinic which has expanded to two clinics and offers a range of non-surgical treatments. She was in a relationship with fellow apprenticeship winner Mark Wright before splitting due to their busy schedules. She has since returned to the NHS, working part time in an A&E department. 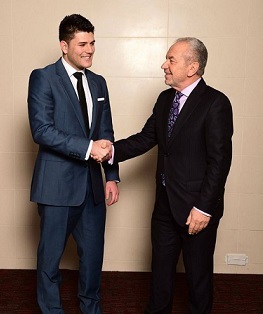 Mark Wright, 24, was a Digital Marketing Manager and winner of The Apprentice series 10 due to his strong performance in the process despite the risk that his business plan was in an over saturated market and would need further investment. He partnered with Lord Sugar to create Climb Online, a digital marketing company. They have since expanded to three offices making £5 million turnover per year. Joseph Valente, 25, was owner of a plumbing business and winner of The Apprentice series 11 due to his business plan being stronger and needing less investment. 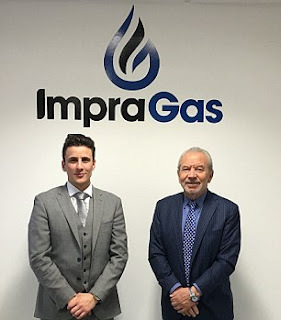 He used the investment to expand his existing business ImpraGas but split from Lord Sugar in 2017 taking full control of the company but they remain on good terms with Alan offering support and advice to Joseph. Alana Spencer, 24, was owner of a cake company and winner of The Apprentice series 12 due to her improvement in the process and the strength, passion and profit of her business plan. She partnered with Lord Sugar to create Ridiculously Rich, offering slices or trays of cake and a monthly cake subscription and looking to recruit cake ambassadors.